True story: Nothing fazes me much being an educated person/a degree holder/ a professional but whenever I go to a stall to buy durian,I am often worried,very worried. Worry I get cheated, worry that I overpay, worry the quality is not good, that I will just resist my cravings instead of having to stress of the process of buying durian. I remembered once I made my husband drive to a durian stall , and in the end I didn’t know which is buy as the stall owner keep recommending more and more expensive variants. So I left it to my husband to make the purchasing decision. I really dislike the experience of buying durian but I love eating them very much (such ironies in life). Even my kids (all except one) crave for durian like I do. Often when I drive home through Geylang Road and the kids see stalls after stalls of durian, they will pester me to buy. So many stalls, which is good, which will give me a fair deal? So I often dismiss them especially the stalls at Geylang, I trust none of them as I see them more of a tourist trap. Previously, I have gotten my craving satisfied from a very famous and highly recommended stall in the West near my previous office. 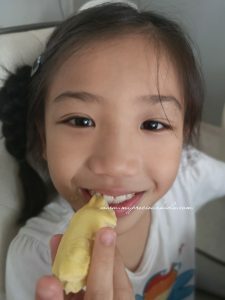 I had to pre-order through phone , make arrangement, go collect during lunch time (it was vacuum wrapped so I am able to bring it back home using public transport) but it was a great big hassle just to have a good durian feast at home. The quality was good being high recommended but the hassles of having to pick up on my own and bringing it back home, it takes a real great craving in me to put in such effort. 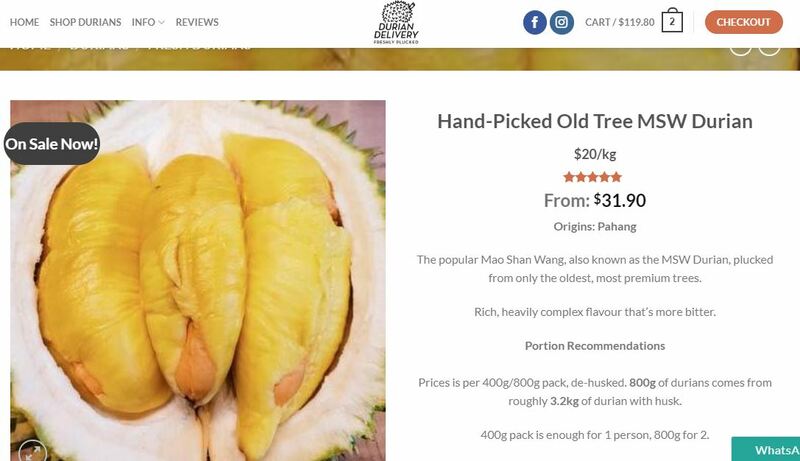 Fast forward to my order today with Durian Delivery with free delivery (above SGD 80 purchase), I can’t believe with a click of a few buttons, I can have them delivered to home. 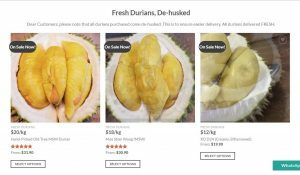 Things has changed, nowadays most durian sellers have taken to the social media and online to sell their durians. I thought its pretty good move to make it more transparent in pricing, however I am still skeptical of the quality. What makes Durian Delivery different is that they have 2 hour delivery, money back guarantee or “bao chi” and guarantee of freshness. 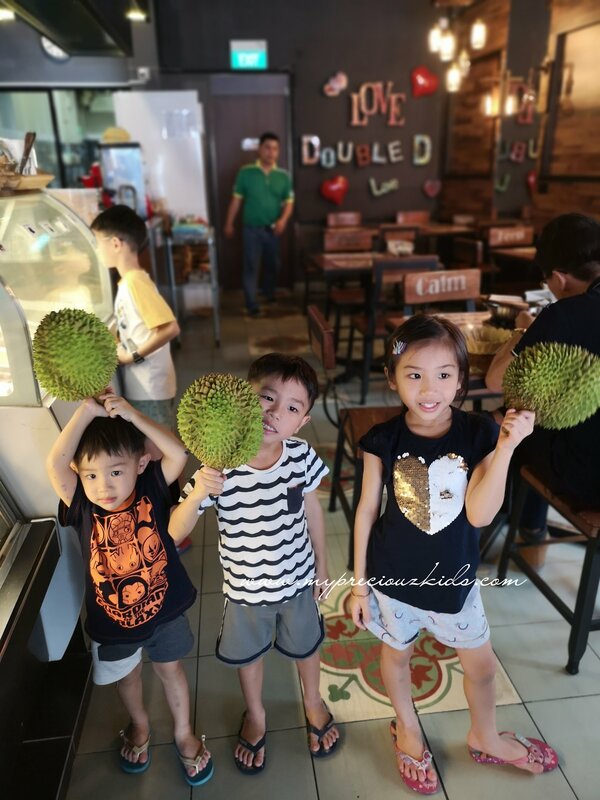 The pack of durians come in 2 sizes-400g and 800g. What you see is what you get. No more paying for husk and not flesh. 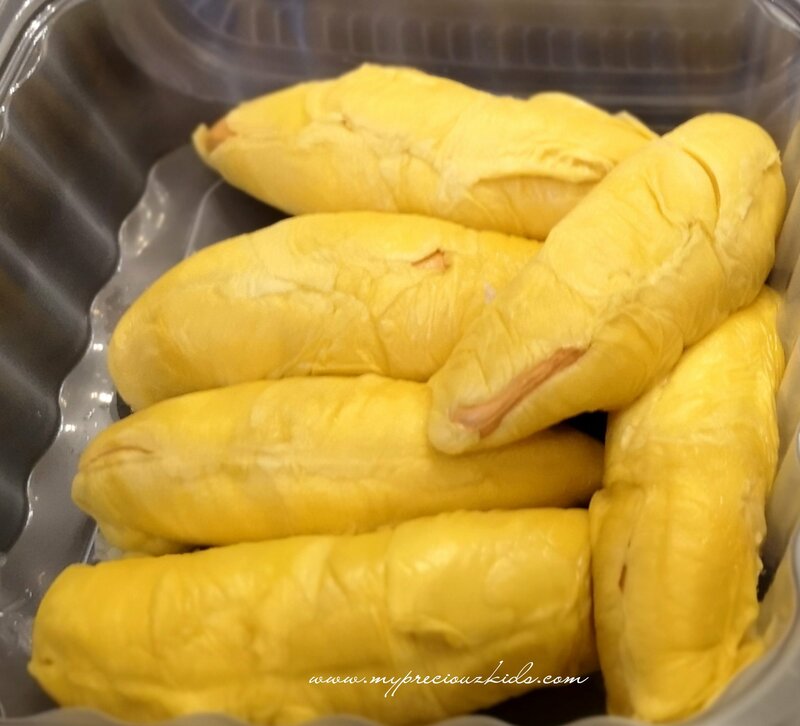 How often how you purchase a 1 plus kg durian and its content can hardly fill a small Styrofoam food container. Super heart pain. That’s one for the other reasons why I dislike buying durian, it’s like a game of chance or luck, besides being worried about being cheated. Frankly sometimes the seller also won’t know until he opens it for you though some experts may claim otherwise. 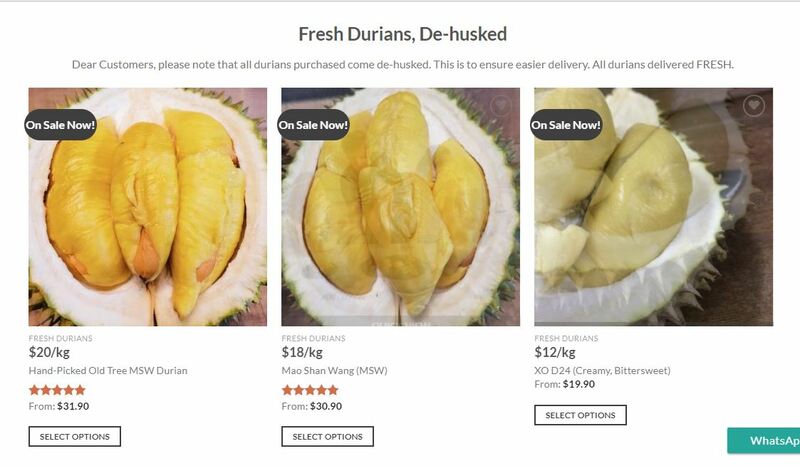 With Durian Delivery selling in 400g and 800g pack, you know what you are paying for. I think it’s work better for me as a buyer to buy through this packaging method instead of buying y the fruit. small J saying its so so good! small C wants to have his own seed! Not only lots of flesh, I see seeds like this! Just worth every cents ! But I do think that taste is subjective as my mother in law prefer the old tree msw. I wouldn’t say that it wasn’t good but in comparison, I prefer the young tree mao shan wang. 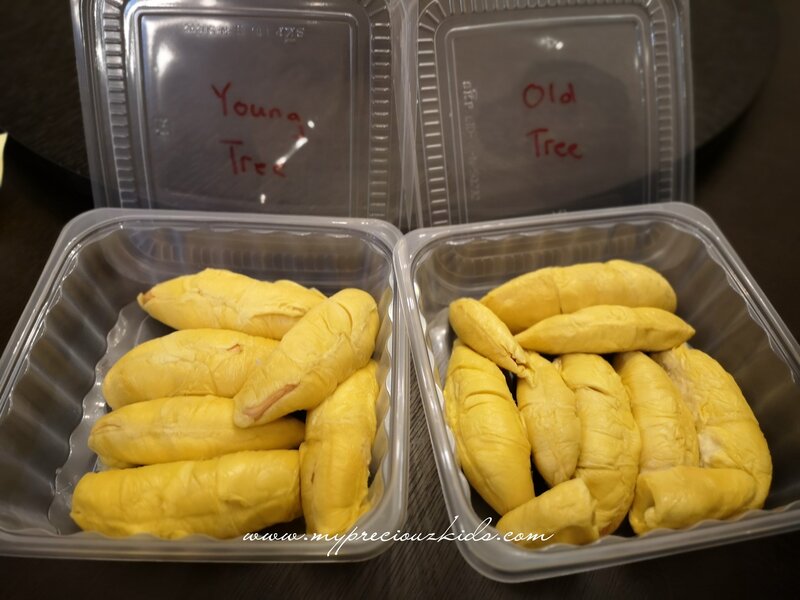 What I did was to put the durians into the fridge and I tried the old tree msw on its own, and it was also very good as some of the moisture went into it and it become less dry which was more to my liking. 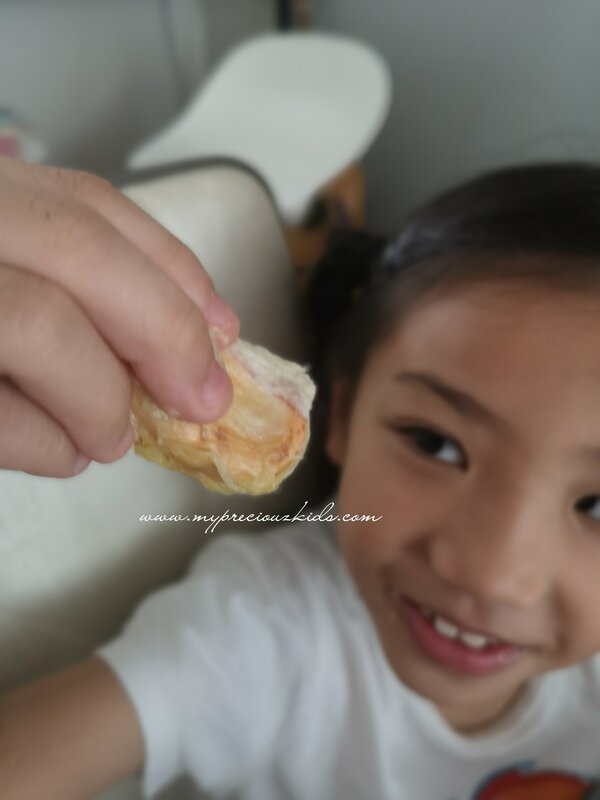 My kids also crave for durians just like the adults, and they have to be restraint from over-indulging. Besides the premium msw, they also sell xo d24 and d24 , red prawn etc also depending on supply . All their durians come from plantations in Pahang. Another promise they guarantee is that their durian reach your doorstep within 6-12 hours after they’re plucked, making them the freshest. They are very confident of the quality of their durian supply and hence they are willing to give money back guarantee or bao chi. 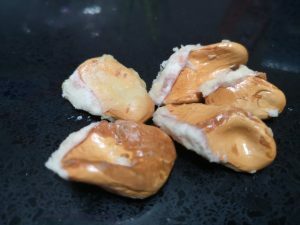 In order for them to have a loyal customer base (being a relatively new online business with a new business model of selling by 400g and 800g packaging), if the durian are not of good quality, you can choose between full refund or replacement. You can place your order and payment (credit card/paypal) through their website – choose your designated time slot 1-4pm , 5 to 8 pm, 7 to 10pm and 9 to 11pm. I loved that its all so hassle free and easy (gone are the days I need to pick it up and carry it back home). Alternatively, you can pick up your order at their stall at 502 Macpherson Road which is also a big plus for me as I stay in the east. 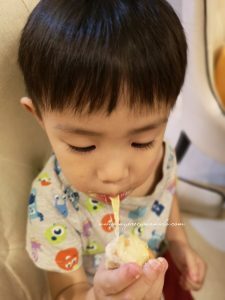 It is free delivery over SGD 80, so if you suddenly crave for durian in the day, pre-order, choose the designated time slot , pay online and you will have durian at your doorsteps for lunch/ tea/ dinner /supper, whichever you fancy (which was what I did today). 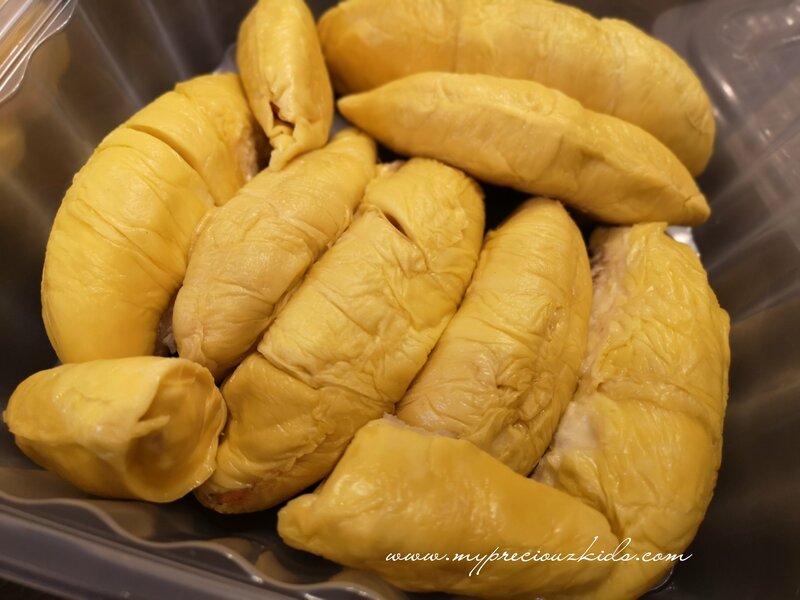 Durian Delivery also supplies to parties, corporate events etc, perfect for family/friends gatherings. I am definitely ordering from them again (I no longer worry of being cheated or bad quality durians) and the boss of Durian Delivery told the season may ends in January, perfect for year end gathering. 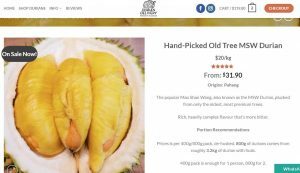 They also have a very interesting article on their website on durian seasons , why prices were so insanely high last year, make it a very interesting for a durian lover like me. 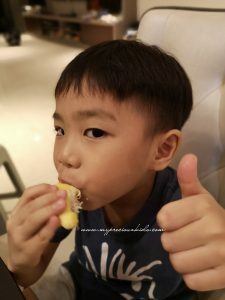 Don’t wait any longer as you never know when the supply will dwindle and you miss this season of good durian. Disclosure: This is a sponsored post. No monetary compensation was received. All opinions are my own. This entry was posted in product. ← IG Giveaway and review: #ohmymats reusable colouring mats – revolutionary must-have , why wasn’t this invented earlier?